The Kansas State Department of Education has declared October as Farm to School month. This is exciting news for USD 108 Washington County Schools because we have just entered into this Farm to School Program! This program is designed to allow local partners to donate items that can be used to provide fresh homegrown products. While garden items are also considered part of the Farm to School program, USD 108 would like to use this program to provide locally grown beef and pork. The animals are donated, the school pays the processing fee, and we receive high quality meat for a fraction of the cost! What is Farm to School? The 2008 Farm Bill amended the Richard B. Russell National School Lunch Act to direct the Secretary of Agriculture to encourage institutions operating Child Nutrition Programs to purchase unprocessed locally grown and locally raised agricultural products. 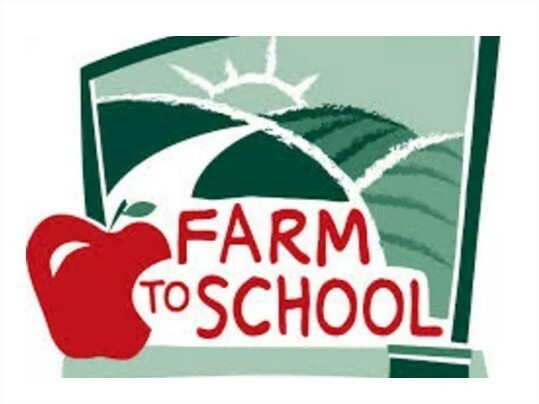 The Farm to School initiative is an effort to connect K-12 schools with regional or local farms in order to serve healthy meals using local foods. Since USD 108 announced this program, we have had several local community partners approach the district about donating either hogs or cattle for meat. The animals will be processed at any of the local locker plants that are FDA approved and then the school will have the meat to use in breakfast and lunch meals and concession stand items. USD 108 is grateful for this support and for these community partners who have so generously donated animals for our use. It is appreciated by the students, staff, administration, and BOE members. If you are interested in donating any local products to our district please contact Denise O’Dea at 785.325.2261, ext. 3 for information. Together we are…. Tiger Strong!